“Abbey needs your help” - Abbey is 5 years old and has Spastic Diplegic Cerebral Palsy”. Her family and friends are currently attempting to raise the £35,000 she needs for specialist treatment to help her walk unaided. 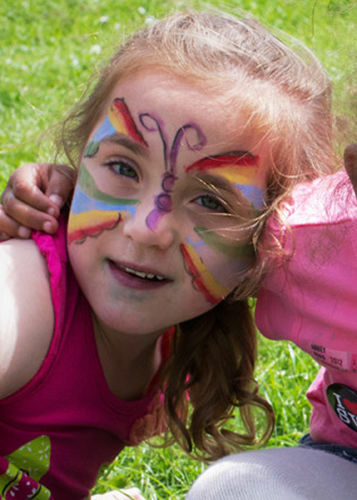 As a small part of that we will be be at the Southminster Flower show today (21/07/12) to take photos of the children's face painting activity they are running. Any donations we receive for this activity will be very much appreciated and will go to assist the fund. The show is open from midday with arena activities starting at 2.00pm. Further information and links to Abbey's fund-raising website and the Southminster show are below.